Atlas Cloud is a progressive cloud-solutions provider, widely recognised for outstanding customer service. To explore how the tech company uses Hive to engage their employees in business decisions and tackle offline issues in an online world, we spoke to Service & Operations Manager, Sarah Cooper. 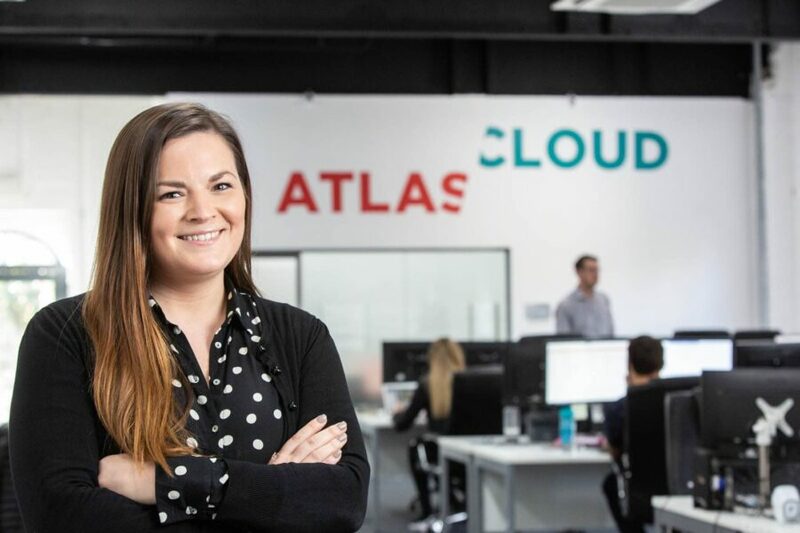 Atlas Cloud’s cloud solutions and services are designed to help organisations work flexibility and securely across the world, with employees accessing IT systems on the move and easily collaborating with co-workers. As a result, client workforces enjoy a more autonomous and productive work-life, which is reflected in Atlas Cloud’s own employee experience. 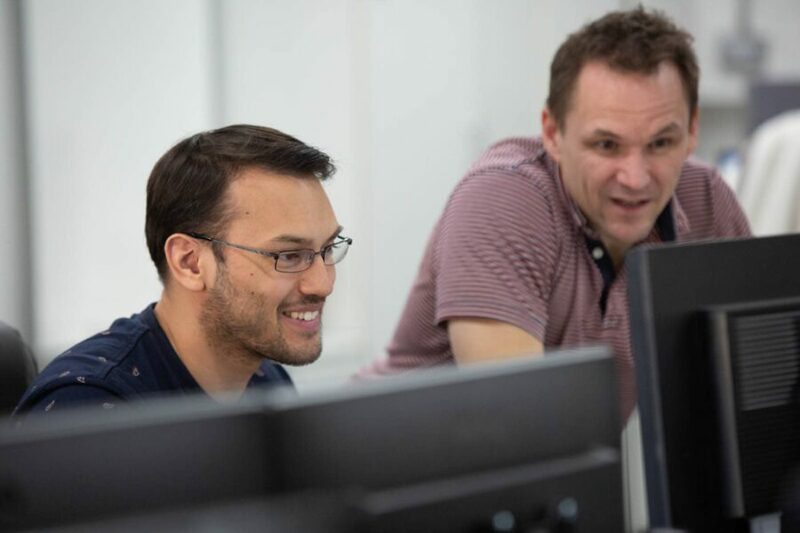 Employees are supported to bring their best selves to work – enjoying employee incentives and benefits, flexible working policies and focused career progression. 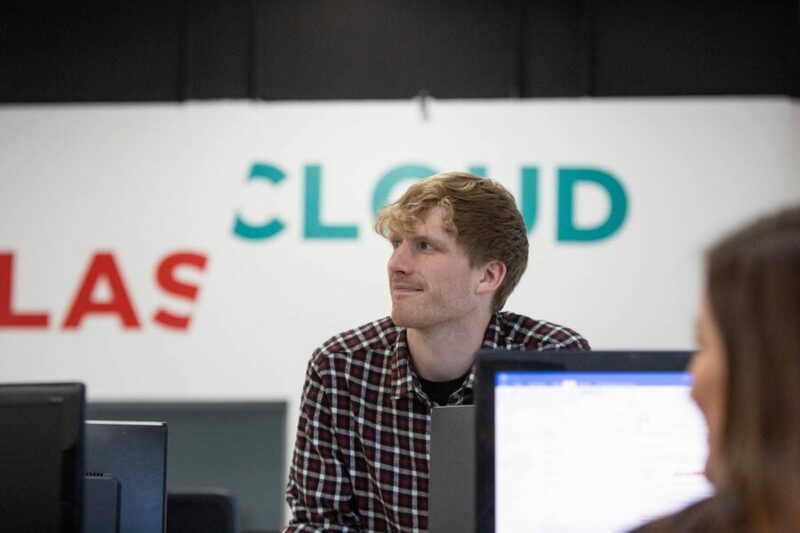 Recognising the global issues surrounding mental health in the workplace – deeper engagement became crucial for Atlas Cloud as they navigate growth. A platform to raise unspoken issues in confidence would ensure their predominantly online workforce are happy and healthy offline. Service & Operations Manager Sarah Cooper began searching for an employee survey tool that would allow her to keep abreast of people issues – posing questions that could be difficult to answer offline – and to crowdsource opinions on core business decisions. Mental Health, in particular, was something Sarah wanted to explore due it’s growing workplace relevance. In a recent survey*, 60% of UK workers stated they have had a mental health issue, yet only 13% said they felt comfortable to tell a manager – supporting Sarah’s choice of Hive for its confidential surveying. Sarah began sending Hive surveys in April 2018; enjoying the flexibility around survey frequency and exploring the range of question formats, with free text questions allowing her to gather more in-depth feedback around mental health and company issues. Hive surveys have given Sarah “priceless feedback”, with employees praising the confidentiality aspect of the platform; feeling able to honestly raise issues and request changes without repercussions. There is now an open forum for requests; Hive provided Sarah with inspiration for easy “quick-wins” that would support everyday happiness – with employees asking for a toaster and branded clothing to wear in-and-outside of work, particularly at industry events. Employees have opened up in confidence; employees spoke out about mental health issues and Sarah could signpost them directly to one-to-one counselling available as a company benefit. Feedback has shaped a healthier workforce; employees asked and received more activity-based corporate social events, they also have a fruit delivery to the office weekly. Employees have influenced company marketing; Sarah sought marketing and branding insights from employees to inform a newly recruited marketing manager, ahead of their strategic marketing planning. There’s a better understanding of company policies; feedback indicated that employees were not fully aware of company policies, such as flexible working, which was made clearer as a result. Sarah has used Hive to give every employee a powerful voice as they influence the future of Atlas Cloud. She’s taken on the challenge of tacking sensitive issues in the workplace and ensured that a growing workforce has a channel to speak out in confidence. Sarah will continue to implement Hive surveys that seek the right information at the right time, particularly with the arrival of new employees – navigating growth and sustaining a two-way open dialogue with all employees. Atlas Cloud has proven they are setting an example in the field of employee engagement. Hive is now providing the insights they need to improve wellbeing and create a culture of openness and honesty. Atlas Cloud demonstrates how a healthy, connected workforce promotes a healthy, growing business. We’d like to thank Sarah for sharing her early Hive findings and positive actions; we look forward to watching how Atlas Cloud take Hive forward as an impactful HR insights tool.